Home of Abbie's Biskies, your source for pet biscuits ... our specialty nutritious biscuit to satisfy special needs, and other caring products. Our specialty biskie: a golden biscuit that's nutritious and yummy. It is a 3.3cm, 3gram treat crafted with care using a nutrition-conserving process: with hypoallergenic ingredients, theraputic oils, minerals and select vitamins baked in, and the water-soluble and heat-sensitive vitamins applied after baking. For some animals these are suitable as a significant component of diet and feeding; the biscuits were originally designed, in 1996, for that purpose. 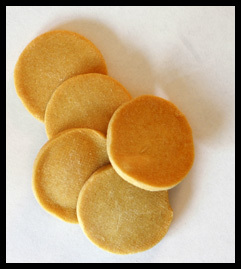 But for most pets these biskies are great ways to train, reward and love. Abbie's Biskies is a service of Enosis Group LLC. Copyright 2006 Enosis Group LLC. 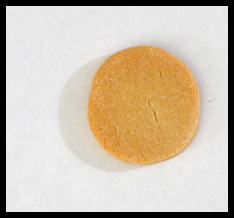 "Abbie's Biskies" and the icon are trademarks of Enosis Group.